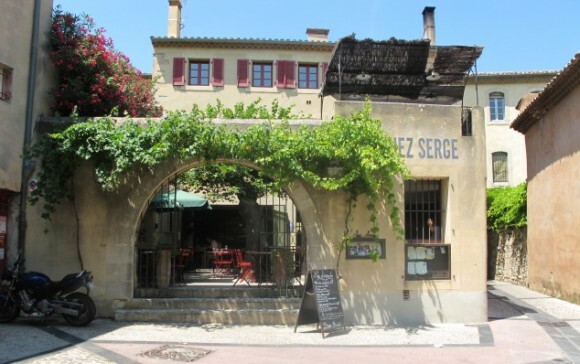 Along the wine trails of connoisseurs in search of Southern Rhone wines, Chez Serge in Carpentras is legend. When sommelier Serge Ghoukassian opened his eponymous spot as a pizza and wine joint in 1986, it was a heady time when wine writers began trumpeting vintages in the region other than Chateauneuf du Pape, notably Gigondas, Vacqueyras and Côtes du Rhône Villages. 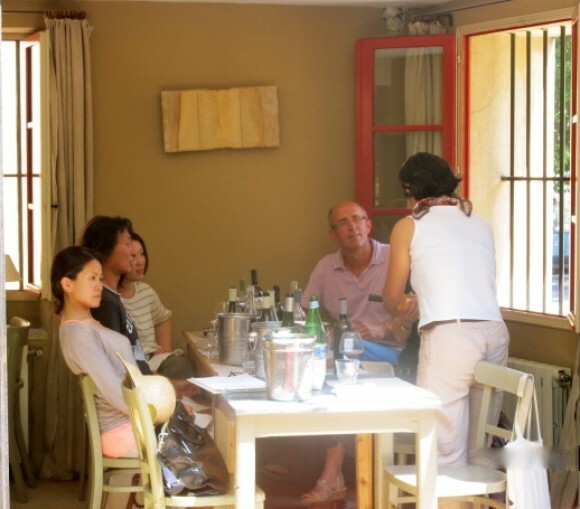 Wine enthusiasts pop into Chez Serge to discover quality pours of local vineyards and for the buzz on the wine biz. In the past few years, AOC Ventoux wineries have offered stunning quality / price values – Vindemio, Fondréche, Grand Jacquet and Saint Jean du Barroux. Grab a rare bottle of the Domaine de Cascavel, an extinct winery where Olivier B, whose own wines are on the carte, worked his magic. Chez Serge’s role in popularizing southern Rhone wines mirrors that of Melac’s, the wine bar in a hardscrabble part of Paris’ 11th arrondissement, that is a tasting post for Rhone wines as well as small AOC’s like Corbières and Lirac. Transformed it into a restaurant in 1997, Chez Serge offers a 15€ lunch menu with a choice among two entrées, two main courses, and two desserts, and a 35€ dinner menu ‘Ventoux’ with selection of five entrées, three main courses, and seven desserts, or the sumptuous Le Menu Truffes d’éte for 49€. There is a dining area on a terrace upstairs. Naturally, the wine list is a sommelier’s dream; Serge won the Best Sommelier of the Year award in 2008. Chez Serge, 90 rue Cottier, 84200 Carpentras, Open every day for lunch 12:00 p.m. – 1:45 p.m. and diner 7:30 p.m. – 9:30 p.m. Directions: Navigating gritty Carpentras is tricky as a one-way street encircles the town. Chez Serge is on the eastern edge off of Avenue Jean Jaures on the left. Signage is posted. Parking: Use the huge public parking lot right across Avenue Jean Juares from the restaurant. Best to avoid Friday lunch as a Friday market occupies the entire parking lot, unless you park elsewhere and combine a Friday market tour with lunch at Chez Serge. 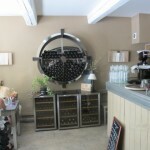 This entry was posted in Wine and tagged Carpentras, Restaurant, Wine, wine bar. Bookmark the permalink.